Wow! It has been a busy morning but we have all had soooo much fun. I love using buntings around the house for decorations and the bunting above I found on a great blog - Sweetly Scrapped Art.It was so easy to make and I think it looks so sweet here hanging on our little kitchen cupboard. 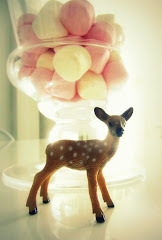 Here are some photos of the little ears that I downloaded last night for free from Ellinee Design House. I wasn't sure if the kids would like them very much but all the kids wore them proudly....even the boys! Better still...I had help from the neighbours kids last night to cut them all out. Bonus! Here are the kids in our street (including my daughter - in stripes)searching for easter eggs with their cute little easter bunny ears. I organised these cute little easter egg baskets last night - also with help from some of the local kids. Thanks kids! I already had the little white noodle boxes (from Red Dot) so all I had to do was download some of the easter bunny foot prints from the the creative team at Love Mae, cut them out and glue them on. Too easy! Thanks to the help of my daughter and the local kids I completed the little easter egg baskets rather quickly so rather than throw out the left over cut out foot prints we stuck them on these pretty blue paper cups that I already had from Ikea (left over from my daughter's birthday party earlier this year). 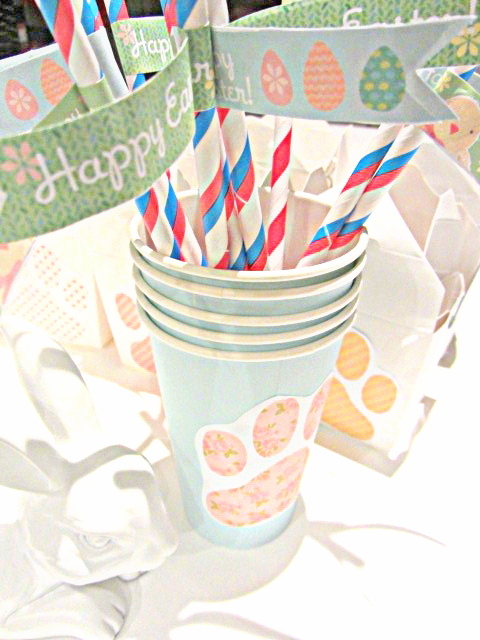 As the kids were busy cutting and glueing the cups and bunny ears I got busy and cut out these easter flags from ellinee and stuck them on these sweet paper straws which were also left over from my daughter's birthday party. The straws were bought from Hey YoYo. 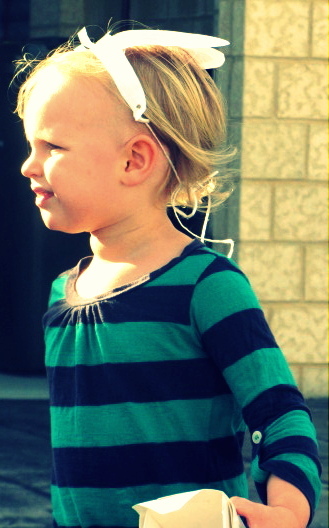 I love this photo of my little girl looking for easter eggs left by the easter bunny. She looks so serious! I am very impressed that she kept her bunny ears on! Thank you to all the clever and amazing people who kindly made their awesome Easter decorations available online for free! Thank you!!! I really love how Easter brings family and friends together. I hope that you had a fun and creative Easter too!